If your like me ... you may have thought the IRS penalties imposed for not having health insurance under the new ACA federal healthcare rules simply utilized the greater of 1% or $95 calculation by applying 1% times adjusted gross income. This week, Ed Oleksiak, JD, Holmes Murphy's national compliance lead, walked our consulting teams through how the the IRS will apply the penalty. So the 1% individual penalty is not just 1% times your income. You actually subtract a base amount which is the minimum thresholds for being required to file a tax return determined by filing status and then the 1% is multiplied times the resulting net income amount. The starting amount is household income. We are including a definition and example below. Jim just plain does not like politics or federal mandates. He is an unmarried gun-toting, iPhone 5s carrying young invincible with no dependents. He pays service fees each month to access his Match.com account ... but feels paying monthly health insurance premiums does not help him with the ladies. Jim does not have minimum essential coverage for any month during 2014 and does not qualify for an exemption. For 2014, Jim's household income is $40,000 and his filing threshold is $10,150. To determine his payment using the income formula, subtract $10,150 (filing threshold) from $40,000 (2014 household income). The result is $29,850. One percent of $29,850 equals $298.50. Jim's flat dollar amount is $95. Because $298.50 is greater than $95 (and is less than the national average premium for bronze level coverage for 2014), Jim's shared responsibility payment for 2014 is $298.50, or $24.87 for each month he is uninsured (1/12 of $298.50 equals $24.87). Jim will make his shared responsibility payment for the months he was uninsured when he files his 2014 income tax return, which is due in April 2015. The U.S. health care system will be implementing a new coding system called ICD-10 that is scheduled to take effect on October 1, 2014. The Centers for Medicare and Medicaid Services (CMS) will require the code sets be used by any covered entity under HIPAA (Health Insurance Portability Accountability Act). Whenever we are treated for medical care, a code is assigned to designate our illness or injury. These diagnosis codes are meant to help providers and payers better track what happened, how much it should cost and what follow-up care is needed. The ICD-10 codes will not impact coding for outpatient procedures and physician services. There are around 13,000 codes under the current ICD-9 code set and an additional 55,000 coming next year. While the new 68,000 codes will yield enhanced reporting, the real beneficiaries in 2014 will be the IT providers who will charge more to implement the new CMS standards in their EMR systems. These costs will get passed along to payers and consumers in the form of higher prices for treatment. One of my favorite groups of codes relates to the rampant incidence of space-related injuries we often hear about. Thank goodness there are over ten codes for when a spacecraft goes out of control and plays a role in an injury. If you collided your spacecraft the first time use V9543XA. Do it once more and the hospital staff needs to use V9543XD for a subsequent encounter. How about codes for injuries with Macaws, Centipedes ... and others animals with from fur to feathers ... are available here. Over 40 medical specialty groups, state organizations and the American Medical Association (AMA) have written letters to CMS recommending they cancel the implementation of ICD-10. The concern is that the new codes will "create significant burdens on the practice of medicine with no direct benefit to individual patient care." Additionally, the letters cite the burden of code implementations on top of a growing list of challenges doctors and hospitals have with the 2014 implementations of federal and state health care reforms. So the next time you're injured from the dangers that lurk within the Winspear Opera House or you suffer a "burn due to flaming water-skis" ... just know that your federal government has you covered. It seems ironic that we are on the eve of the October 1st, 2013 launch of the largest public open enrollment of health insurance in U.S. history and we are one day away from a government shutdown. While the rest of Washington D.C. tries to get its act together, we recognize that our friends in human resources may need a trusted resource to help navigate consumers through the impact of the Affordable Care Act (ACA). 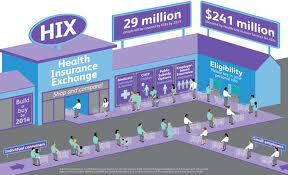 This year only, the health exchange marketplace open enrollment period will run from October 1, 2013, through March 31, 2014. In subsequent years, open enrollment will run from October 15th through December 7th, for a January 1st effective date. After this initial year only, the October 15th open enrollment schedule will match up with that of Medicare. The older I get the more I rely on unbiased experts who can save me time and have my best interests at heart. This is why I am a subscriber to Consumer Reports. In the November 2013 issue, I was pleased to find a well constructed explanation of the ACA and how it might impact three different groups: someone who gets insurance through work, who buys insurance on their own, or who is Medicare eligible. With over twenty years of benefits consulting experience, I thought I would put the Consumer Report's online guide called healthlawhelper.org to the test. I am giving it an enthusiastic thumbs up and hope you share it with those who come to you for help. It is a free resource that offers an easy to follow questionnaire that guides consumers through a personal decision making process on what to do. Consumer Reports is a national nonprofit organization with one and only one mission: to take the side of consumers wherever they may need it. Since the new health law is the biggest change in the American health care system in more than a generation, they created the Health Law Helper to give consumers accurate and unbiased information about the law and how it affects them. Please pass it along to anyone who needs advice from a trusted organization with the consumer's best interest at heart. Health Exchange Marketing - Finding SuperMan or (Woman)? October 1st, 2013 marks the official kick-off of the open enrollment window for eligible Americans to enroll for health insurance through state exchanges for a January 1, 2014, effective date. The hope of course is that 40 million uninsureds sign up or they will face a penalty of the greater of $95 or 1% of adjusted gross income. The odds makers are projecting somewhere between 7-8 million enrollees will hit the buy button for 2014. While federal navigators and the administration will be touting how to enroll ALL Americans, the insurance carriers who have selectively chosen their markets will take a different tactic. If history repeats itself, the last mass public-private health enrollment push dates back to the Bush-era when Medicare Advantage plans first became available to the over 65 crowd. A regulatory official once shared with me they had to take enforcement actions against an insurance company promoting their Medicare Advantage plans after learning the carrier held their informational meetings on the top floor of a strip mall with stair-only access. Ask yourself if you would rather insure a senior citizen that can walk up a flight of stairs or one that rolls onto an elevator in the latest personal electric transport chair endorsed by Burl Ives? This post is not meant to judge our for-profit businesses for pursuing legal tactics that enhance profitability for their shareholders. Profit or perish is the maxim for any business. The far greater concern is what happens when public and private insurance pools go after the best customers. History shows us that private enterprise usually wins out when it comes to marketing consumer goods and services. The big five health carriers are poised to spend $1 billion or more to attract millions of new customers who never have payed health premiums before. Despite the appeal of a glossed-up "Kathleen Sebelius flyer" produced by the Secretary of Health and Human Services office for "Navigator" distribution, finding "Superman" will not be a fair gunfight for the public Exchanges. Let's face it ... the Madison Avenue-style advertising budgets funded by the largest insurance carriers will be playing in a different league. If you haven't noticed ... the largest health carriers are now sponsoring more marathons, cycling teams, triathlons, mob and ultra events than ever before. It's health marketing 101, the audience there is worth the brand impression. Don't expect to see a carrier-sponsored exchange ad next time you're picking up your blood pressure meds at the local CVS. Instead, check inside a Men's Health or Seventeen magazine to find out how to enroll ... or better yet ... run a local 10k and post your results on your Facebook timeline. The chances are in this new digital economy, there is already enough "big data" that is aggregated on you to predict your health risk. You will know your health status by how aggressively you are sought after. Where Will You Choose to Swim Next Summer? As the summer winds down, I could not help but be thankful for the fun we had in our backyard pool. It suddenly dawned on me that our private swimming pool provided many analogies as it relates to the direction of our federal health care reform initiatives. Many Americans, like my younger sister, will be the first to benefit from affordable coverage without any restrictions for preexisting conditions on January 1, 2014. The Affordable Care Act ("ACA") allows older Americans to pay a higher rate than younger Americans, but the community rating band will be broken down by only three different age groups. AARP lobbied strongly for this and it is an absolute boon to the baby boomers and a real shaft to Generation X, Y, and Millennials who will bear the brunt of the top third oldest risk tier by age. As an example, state exchanges will have age rating bands of 3:1 that will prevent insurers from charging an adult age 64 or older more than three times the premium they charge a 21 year old for the same coverage. Many believe the bands will be modified to reflect more of a 5:1 ratio as the individual market typically uses today. Roughly 60% of Americans receive private health coverage through their employer. Think of each one of these employers as having their own swimming pool. When I look out at my own pool, our crystal blue waters are meticulously maintained by a cleaning crew that our family gets to select. When the job doesn't get done, we simply hire another supplier to get better results. We also get to decide who goes in and out of our family oasis (aside from a random duck that finds his way every year or so to the deep end). 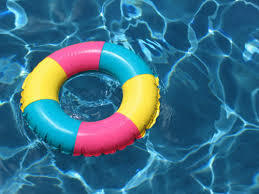 We have control over the environmental factors of our pool like if I want a salt-water or a chlorine pool. Additionally, we use brushers, skimmers and a Polaris as preventive measures that keep the water clean and healthy. This is not any different from an employer that sponsors their own corporate health and wellness plan. a. Early retirees - This pre-Medicare eligible group is one of the most costly to have on your health plan with claims costs that are actuarially equivalent to three times that of the normal working population. A report by the Employee Health Benefit Research Institute (EBRI), shows around 17% of employers offered such coverage. The number of non-working early retirees who enroll through their employer is around 2 million lives. In a recent Aon Hewitt Survey, nearly a third of employers who provide early retiree coverage plan to direct them to the individual exchange market. Minnesota based 3M company is exhibit A here after eliminating their group plan for early retirees in favor of redirection to the public exchange pools in each state in 2014. This is typically done through transition credits through a health reimbursement arrangement (HRA). Not to blame 3M, as this is a rational market response when comparing premiums under three-tiered banded rates. b. State continuation enrollees - As the insurer of last resort, state continuation enrollees and participants in the federal Pre-existing Condition Insurance Plan will be another group that will contribute to the losses in the state exchanges. About a quarter of a million Americans fall into this category with more than a dozen states declaring intentions to close their plans in the first six months of 2014. ACA provides a three-year transition period during which the costs of these programs will be shared across the market. However, many feel the $5 billion appropriation will not be enough to help states offset the costs through ACA. c. Low-income Americans - There are numerous studies that unfortunately show a direct correlation between low-income wage earners who are uninsured and the propensity to be obese, have chronic illness and pre-existing conditions. This group will continue to be attracted to the community pool and have higher health risks when compared to their private plan cohort. While those who qualify for subsidies (household incomes of between 100-400% of the federal poverty level) are the ones who need it most, their risk factors should predictably drive costs higher each year over private plans. Over two-thirds of enrollment (CBO estimates) in the exchanges are anticipated to come from those receiving premium credits. This is something for employers contemplating "pay or play" moves should consider as a one year cost comparison may prove to be short-sighted without thinking through the tax implications and future trends of wading through the public waters. What is the x-factor that will help keep public exchange costs in check? - those young invincibles ("Young-ens") with no claims who are predicted to enroll. Lets not count on them rushing in for fear of an underfunded IRS staff that will struggle to collect a paltry penalty (the higher of $95 per year or 1% of family income) from the uninsured. Keep in mind that ACA is a law whose details are unfamilair to two-thirds of Americans. Unless the IRS blocks access to the Young-ens X-Boxes until they join an Exchange, this group is going to take awhile to put on their swimming suits. Those of us who studied actuarial science and risk management in college know that the dreaded "death-spiral" can occur when younger healthier risks avoid the pool as costs go up leaving behind poorer risks with costs escalating higher each year. An August 2013 Towers Watson survey confirmed that 98% of employers surveyed will retain their active medical plans for 2014 and 2015. The rationale given was that they view maintaining their own health plan (or swimming pool) as an important part of the employee value proposition and a competitive advantage for their companies. Hire the right crew and invest each year in preventive measures that deliver crystal clear waters. Keeping up with the changes regarding health care reform is becoming a full-time job as key provisions have been delayed and legislatures are seeking ways to defund the law. To combat the information circulating on the web, The White House launched a new website for employers on health reform. The new site is located at BusinessUSA.gov/healthcare. The purpose of the site is to explain how key provisions of the Patient Protection and Affordable Care Act will work and impact health plan sponsors. This is one to bookmark to your favorites list whether you reside in a blue or red state.